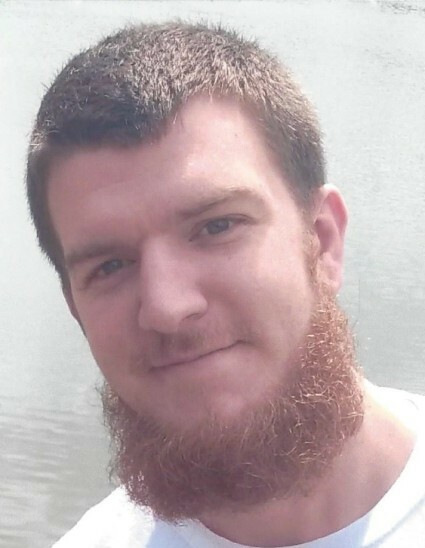 Obituary for Brandon Keith Danca | Joseph W. Nickels Funeral Home, Inc.
Brandon Keith Danca, 26, of Jeannette, passed away Sunday, Dec. 2, 2018, in Excela Health Westmoreland Hospital. He was born March 2, 1992, in McKeesport, beloved son of Marcy (Griffith) Farr and stepfather, Jeremy Farr, of Jeannette, and father, Brian Danca, of Glassport. Brandon was employed by Chili's in Greensburg as a cook. He loved watching football and spending time with his family, nieces and nephews. He was a 2010 graduate of Franklin Regional High School. In addition to his parents, he is survived by his brothers, Chad (Casey) Griffith, of Claridge, and Devin Logan, of Jeannette; a sister, Alyssa Danca and her husband, Immanuel Murin, of North Versailles; and special nieces and nephews, Anthony, Caden, Ava, Jordan, Mackenzie, Logan, Damian, Mason and Kyleigh. He will be sadly missed by his family and many friends. Friends will be received from 2 to 7 p.m. Thursday, at the JOSEPH W. NICKELS FUNERAL HOME INC., 404 Sewickley Ave., Herminie, PA 15637, 724-446-7251, at which time a funeral service will be held in the funeral home. In lieu of flowers, please make donations to Sage's Army Inc., 214 Fourth St., Irwin, PA 15642, phone/help line: 724-863-5433, in memory of Brandon. To send online condolences, please visit www.nickelsfuneralhomeinc.com.